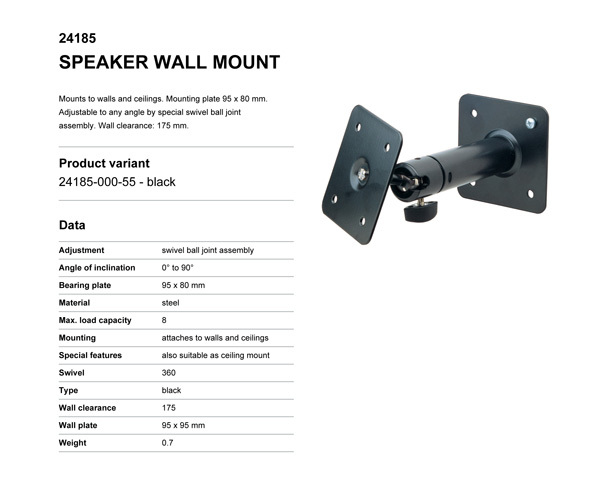 Mounts to walls and ceilings. Mounting plate 95 x 80 mm. 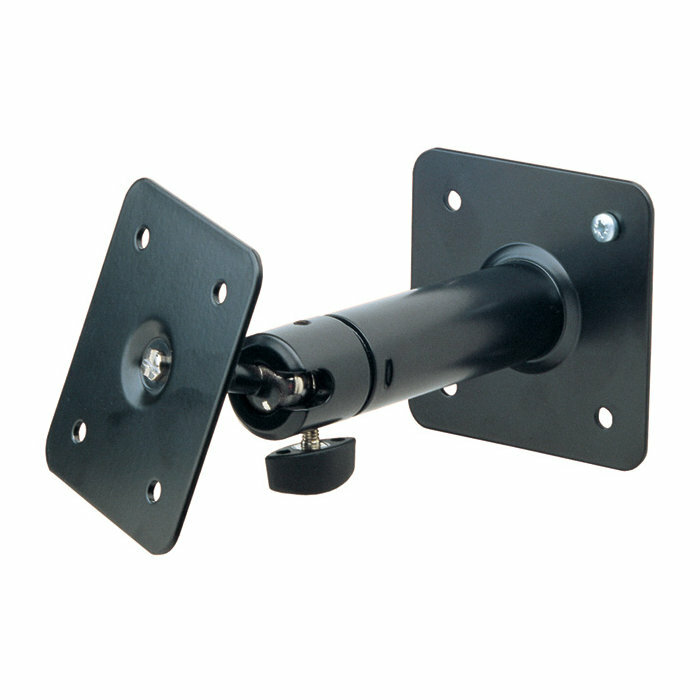 Adjustable to any angle by special swivel ball joint assembly. Wall clearance: 175 mm.